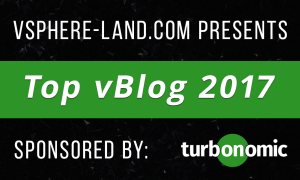 The top vBlog competition is running again this year and voting is open for the next week. 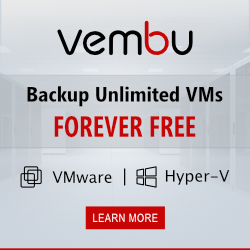 This annual completion ran by Eric Siebert aims to see which are the hottest storage / virtualisation / cloud blogs out there. As in previous years it is being kindly sponsored by Turbonomic. So to have your say on what’s hot and whose content is the mutts nuts, head on over to vote and have your say.